Above Photo: Top nationally rated U.S. Black Belt competitors of their day, competing in Sam Allred’s 1972 National Black Belt Grand Championships. In this photo you can find: Al Dacascos, Fred Wren, Chuck Norris, Malia Bernal, Bob Alegria, Byong Yu, Pat Johnson, Bill Wallace, Joe Hayes, Ralph Alegria, John Natividad, Jim Hawkes, Steve La Bounty, Jim Harkins, and Darnel Garcia. Sam Allred was born on October 27, 1935. He “unofficially” started his martial arts training in the 4th grade, when one of his Father’s military friends taught Sam some jiu jitsu tricks. These tricks quickly earned Sam a reputation as “judo man”. (Judo was the nearest to an “in” thing for the martial arts in the U.S. in those days). Unlike his predecessors on the Kajukenbo family tree, Sam grew up during the depression of the 30’s in an economically average family…not on back streets nor in tough neighborhoods; although he had more than his share of street fights due to a “warped temperament”. this changed after he “matured” in his 50’s. His success in the martial arts grew from accomplishments rather than from his fighting skills. When a judo school actually opened in Lubbock, Texas, Sam joined. His judo team traveled all over Texas competing in tournaments, although in those days there were weren’t many judo tournaments. Sam was promoted to 1st degree Black Belt after he won a tournament in Fort Worth, Texas in 1954. 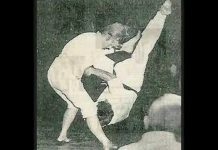 He continued his study of judo, graduating from college with a BA degree in 1958 and MA degree in 1963. 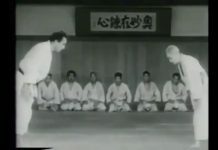 In 1959, in Albuquerque, New Mexico, Sam Allred started the first public school judo club in the United States at the school where he taught science. In the early 1960´s, while attending one of Albuquerque’s first karate tournaments, a wall divider began to fall toward the spectators. Sam put up his hands to stop its fall, but the man next to him did an upward block to stop it. Sam asked the man if he was a karateka and the reply was “yes.” They spent the next hour visiting, and the “karateka” finally invited Sam to attend one of the classes that he was conducting at Kirtland Air Force Base. He attended in his judo gi and begin training. That was Sam’s first “dose” of the old-style truly rough training methods of Kajukenbo, and the “karateka” was Kajukenbo pioneer Donald K. Nahoolewa. Nahoolewa had trained directly with, Sijo Adriano Emperado, and Prof. Aleju Reyes. 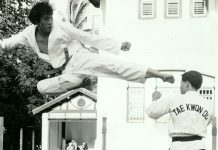 It was Prof. Reyes, one of Sijo Emperado’s original Black Belts, who promoted Nahoolewa to Black Belt rank. Sijo Emperado is considered the founder of Kajukenbo, making Nahoolewa a rare 3nd generation Kajukenbo Black Belt and Sam 4th generation. Sam Allred trained with Don Nahoolewa for the required four years to earn Black Belt in Kajukenbo. In 1969 he was promoted to 4th degree in Judo through the American Judo Association. 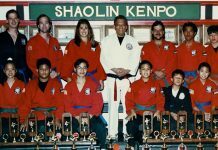 In 1992 the entire Board of Directors of Kajukenbo’s governing body at the time, the International Kajukenbo Association, promoted him to 6th degree Black Belt, and in 2001 the Board of Directors of the American Kajukembo Association elected him for promotion to Senior Master 9th degree red belt. Due to the work that he did with Judo and Karate in the Albuquerque Public Schools, Sam Allred received a number national awards, became known, and was therefore able to get top U.S. competitors to come to Albuquerque to participate in yearly karate tournaments. The young public school members of Sam’s clubs learned how to conduct the tournaments and ran them extremely efficiently. This concept has now been integrated into the Mexico City Kajukenbo practitioners, who conduct national level yearly seminars. The “National Black Belt Karate Grand Championships” and the “Central North American Karate Championships,” were usually on all lists of U.S. top-ten tournaments. 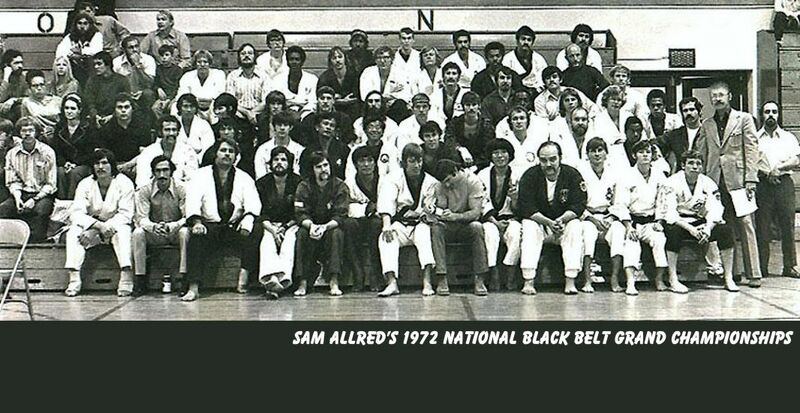 Sam Allred conducted the first MMA-Full Contact-KickBoxing events in the Southwestern United States (1971 Black Belt Magazine) — (Albuquerque News 1971).. All money from these events went to travel expenses for members of Sam’s judo-karate clubs. Except for royalties on his books, Sam has never received money for his martial arts activities. During his students’ summer vacations, Sam planned and set-up free training tours for his students to such places as New York, Los Angeles, Salt Lake City, London, Rome, Paris, San Francisco, Denver, and of course, Mexico City and Acapulco. By this time, there were six branch clubs, all within the Albuquerque Public Schools. Sam’s outstanding student, Gerald Chavez, also helped conduct these training tours. A 9th Degree Grand Master and a PhD, Gerald Chavez teaches Kajukembo in Albuquerque and is keeping the Thunderbird Kajukenbo Association very much alive and active. Many began their lifetimes in the martial arts via the Thunderbird organization including now Grand Masters Martín Aragón and Mike Blea, who often visit with Sam in Mexico City and help with Seminars. Six of Sam’s former students are now Grand Masters in Kajukenbo. During his time in the martial arts, Sam was elected to the Black Belt Hall of Fame as “Man of the Year.” He received the Optimist of the Year award from Albuquerque’s Optimist Clubs. He received “Official Karate” magazine’s Contribution to the Martial Arts award and was in the Who’s Who of the Martial Arts. He was affiliated with the American Karate Black Belt Association, the International Kajukenbo Association, the United States Judo Association, and the Kodokan. He was Regional Director for the AKBBA, delegate to the National Karate Conference for the A.A.U. and on the first National Executive Committee for A.A.U. Karate. He was News Editor for “American Judoman” magazine, on the full-time staff of “Black Belt” magazine, and technical advisor for “Professional Karate” magazine. To Sam, his most important and longest-lasting two accomplishments were the organizing of Thunderbird Kajukenbo Activities, inc. and turning the organization over to now Grand Master Gerald Chavez. On the death of his friend Bruce Lee, Sam Allred was contracted to go to Los Angeles to interview Bruce’s students and friends for the first official biography of Lee. While there he joined karateka friends in doing stunt work and helping choreograph fight scenes for movies. 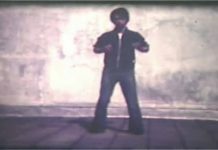 In 1973 Sam Allred dropped out of his active participation in the martial arts and took a job as weekend television weathercaster at Channel 4 in Albuquerque, New Mexico. Having been a former science and meteorology teacher, his Television weathercasting caught on quickly, and very soon he was offered other weathercasting jobs. He moved from Albuquerque to do television weathercasting at Channel 7 (ABC) in Washington D.C. From there he worked as the lead television weathercaster at NBC in Denver and for NBC in San Francisco. In 1984 he returned to Denver to do “Science with Sam” for CBS, a series of one-minutes science spots that were syndicated nationally. In the late 1970’s, during a visit with Sam in the studio of N.B.C.-TV in Denver, Chuck Norris did a promotion for Sam. It was never shown on the air because the station’s management thought Chuck wasn’t qualified to promote a weatherman, but you can see it now, because Chuck IS qualified to “promote” a friend as a karateman, which he does below. In 1985 Sam bought houses in Acapulco and Mexico City and retired, living part time in both places. During the time he has lived in Mexico, he has become the “Father of Kajukenbo” in Mexico and the founder of “Jukensa”. Kajukenbo is growing in Mexico, and the word “Kajukenbo” is registered in México by Sam as a trade name to protect the art from unauthorized usage. Also during this time Sam Allred accumulated what is probably the most important art collection of Mexico’s last Grand Master Artist and Revolutionary Muralist, Alfredo Zalce, who died in 2003 at age 95. 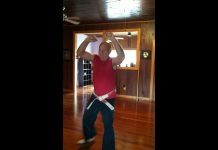 In addition, Sam has written seven published books, one of which was co-authored by Grand Master Chavez and another with the Mexican Black Belt students of O-Sifu Sadoc Sierra as models. The books are all in Spanish, and are based on Kajukenbo. In 2006 Sam established Jukensa Kajukenbo’s first Hall of Fame” and designed trophies for Hall of Famers in the image of his instructor, Alii Don Nahoolewa. In March of 2006, he was promoted to Kajukenbo’s highest rank, that of “Grand Master”. At the turn of the century, Sam began inviting friends who are top judo and karate exponents to Mexico to present open seminars. His Kajukenbo leader in Mexico, O-Sifu Sadoc Sierra and students, attended to the detailed arrangements and worked to obtain participants. The seminar activities are still conducted yearly. 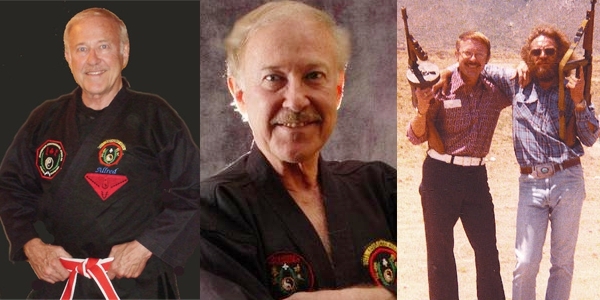 In 2008, after a seminar featuring both Bill Wallace and Al Dacascos, Sam announced his retirement from work (not from an advisory capacity) in the martial arts, feeling secure that O-Sifu Sadoc Sierra and his students would further develop and grow Jukensa Kajukenbo and continue arranging exceptional seminars in first-class locations. In 2010 while attending a Kajukembo seminar in Albuquerque, Sam was awarded a Senior Grand Master certification and a Gold Belt award by the leadership of the American Kajukembo Association, for his contributions to the martial arts. Many of his former students were in attendance at the Seminar and dinner, which encompassed Sam’s 75th birthday. Being several days with them for the first time in many years made for one of Sam’s best birthday’s.